LIGHT, ATMOSPHERE and DEPTH is what I can see in this perfectly arranged geometrical meshwork. I used this word Mesh because is so beautifully designed that the spectator can clearly see the delicate color transitions of the primary brush stroke through the canvas surface. After evaluating his painting I came to the conclusion that the concepts of monochrome paintings is part of his trademark work and that most of them achieve a well balance and contrast relationship between the main composition and background of the painting. 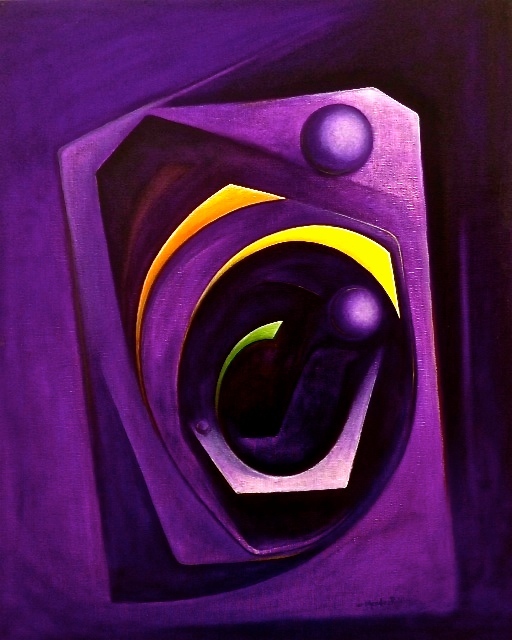 Now If you asked me which painting is my favorite without doubt is “Espirar de un rectángulo en violeta” the way the border are purely restricted to the abstract elements and characterized by the broad vertical and diagonal bands that blend perfectly with the concentric circles applied to multiple violet area is something mystical to the painting. Even the segmented circle, bisected into other interior circle and then dividing it into a spectrum of lightly painted colours is such a cliche touch that make the painting stand out even more. Reminds me of the genius work of Noemi Ruiz. After Reviewing his work for the first time His paintings avoid representation, but slowly shows a steady progression away from objects and external reference to a more geometrical composition. 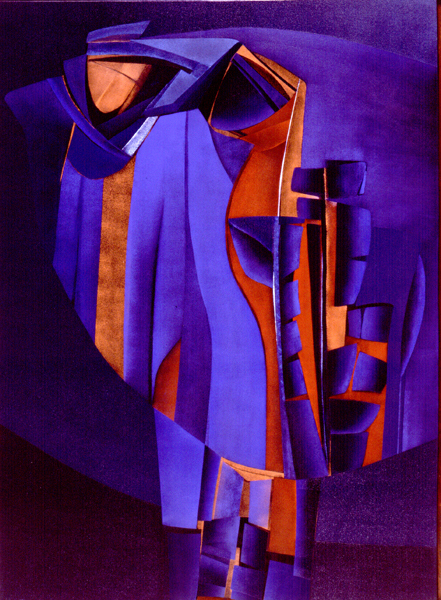 His work to me progressed from compositions of geometrical shapes to the vast world of abstract world either way is a fresh new world that has not been experimented by much Puerto Rican and Abdias Mendez make a great job representing our island with this type of rare but beautiful compositional art. 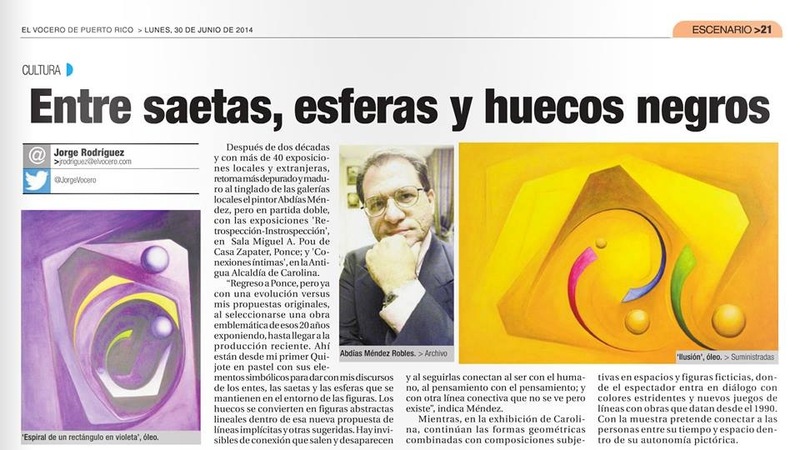 Below is more Information of Dr. Abdias Mendez and recent articles.